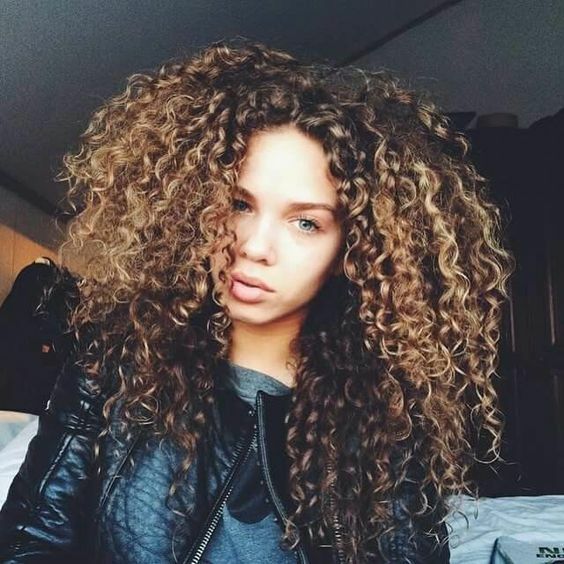 It seems as though curlies are often divided into two camps; those who want more volume and those who want to avoid it! For those curlies who have fine hair or those who simply want to rock big curls, here's a step by step way to achieve your big hair goals! Step 1: If you're prone to tangles, rinse your curls upside down in the shower with cool water. Detangle before leaving the shower. Step 2: Start with freshly washed, sopping wet curls. Do not continue detangling or combing. Apply leave in conditioner throughout your curls to add extra slip and moisture. Step 3: Once you've made sure your curls are conditioned, apply your regular curl care products. You might want to consider using a curl activator to help boost your curls or you can create your own by mixing Epsom salt, olive oil and water in a bottle and spraying throughout your curls. After you've applied a curl activator, use your favorite light hold gel. Apply to the palm of your hands and scrunch throughout your curls to help activate their natural pattern. Flip your curls upside down while applying to get more volume. Step 4: Once all your products are applied, use an old, soft t-shirt or a microfiber towel to scrunch excess water out of your curls. Do not rub your curls with a terry cloth towel! The more you scrunch, the more curls will be created. To create more defined curls, you can use your fingers to twist strands you want to stand out more. Step 5: Plop your curls (especially for those that are medium to long in length) to help remove any remaining moisture. 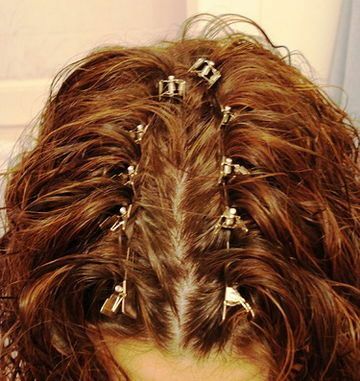 Once you're done with this, add clips at your roots to create more volume. For example, if you tend to lack volume at the roots, use duckbilled clips to boost your curls up. Step 6: Dry your curls with a diffuser. Hold the diffuser against your head, rather than further away from your head. This will dry the curls right at the base of your head, as opposed to blowing more air around, which can create frizz. Allow your curls to dry completely before touching them. Once your curls are dry, bend at the waist, flip your hair upside down and fluff your curls right at the roots.